A recent study, jointly completed by the UC Davis Bodega Marine Laboratory (BML) and the National Oceanic and Atmospheric Administration (NOAA), indicates that the common chemical analysis of oil spills may be inadequate in measuring some of the more subtle effects and the consequences generated, which may not present themselves until years later. Reported in the latest issue of CA & ES Outlook, a UC Davis publication, the study focused on an oil spill that occurred in San Francisco Bay in 2007 when the container ship Cosco Busan spilled 54,000 gallons of bunker oil after colliding with the Oakland Bay Bridge. Spawning habitats for the largest West Coast population of Pacific Herring were contaminated. As reported in CA & ES Outlook, "Researchers accessed the health and viability of herring embryos in oiled and unoiled locations. Their findings, published in the Proceedings of the National Academy of Sciences in January, revealed that components of bunker oil accumulated in naturally spawned herring embryos, then interacted with sunlight during low tides to kill the embryos. Bunker oil is a thick fuel oil distilled from crude oil." While we see the dramatic early effects of oil spills with oil-covered animals, oil slicks and tar balls; and we see the television advertisements from oil companies espousing how areas impacted by spills have now all but returned to normal; we must be aware of the subtle impacts that may not present themselves until much later. Even the tiniest of residual chemicals can have a profound effect on marine animal populations based on how embryos and larvae are impacted. This has the potential to hamper or even destroy coastal marine ecosystems and even commercial fisheries. 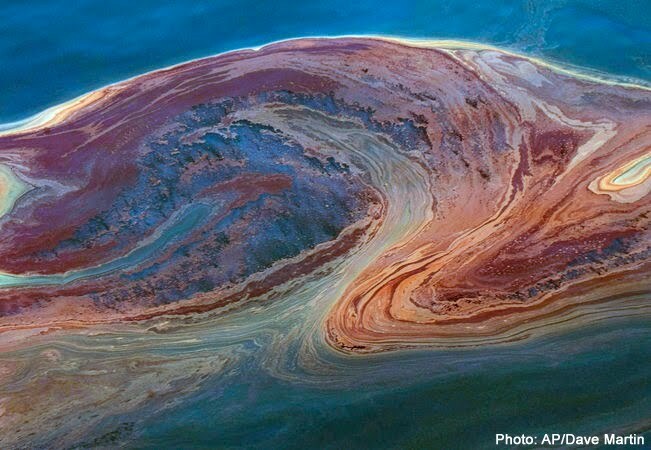 "Our research represents a change in the paradigm for oil spill research and detecting oil spill effects in an urbanized estuary," said professor Gary Cherr, BML director and co-author of the study. The general public must be attuned to the ongoing research that can contradict the publicity-seeking and self-serving positions of oil companies that claim areas, like the Deepwater Horizon oil spill in the Gulf of Mexico, are once again pristine.